As the cost of new tractors grows ever higher, Warwickshire-based firm JH Kirkham has opted to seek out high-spec, second-hand tractors, freeing up cash for implement purchases. It was not so many years ago that Matthew Kirkham was buying new tractors for his general contracting business. At that time, average tractor horsepower for the firm was only nudging 130hp. As the business has grown, it sought more and more horsepower for better productivity and efficiency. But higher purchase prices and increasing costs of ownership steered the firm towards the used market for better value prime movers. It is a move which has allowed the Kirkham family to continue investing in new equipment, to ensure reliability and productivity for its customers. “It is not the tractors that produce the goods – it is the implements, and they are here for the long run,” explains Matthew Kirkham. 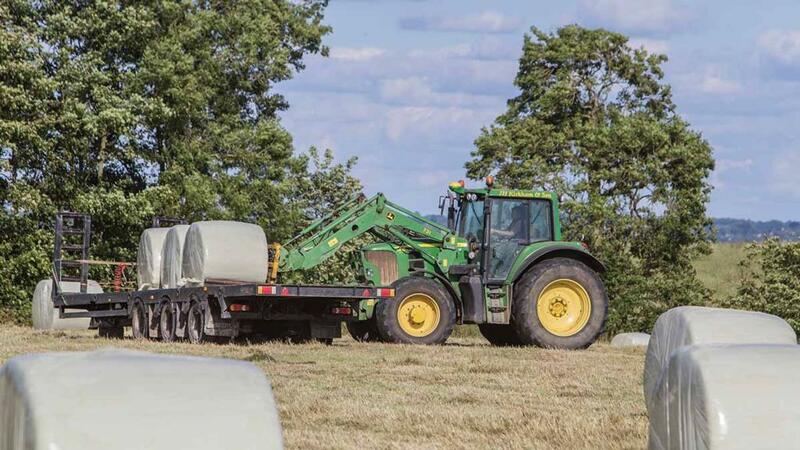 Based at Highfields Farm, Southam, the family-run firm operates a general contracting and mixed farming business which sees Matthew and his son, Chris, now handling round and square bale silage, hay and straw totaling about 30,000 bales per year. In addition, the business carries out cultivations work and hedgecutting, with the latter keeping the father and son team busy at quieter times of the year. 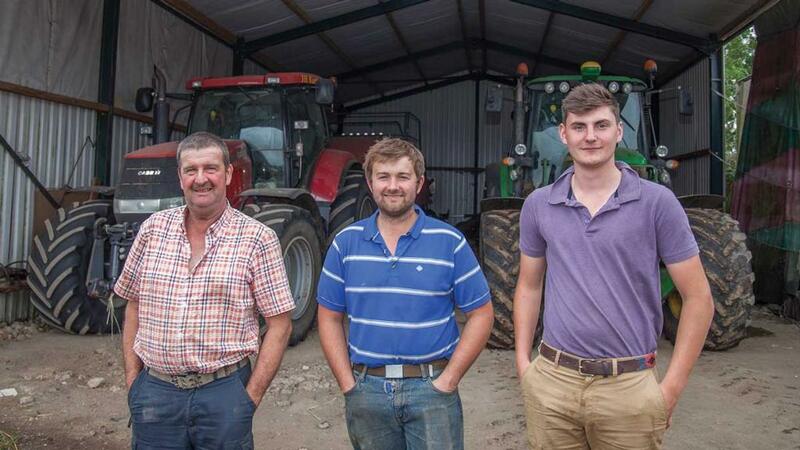 With each change of tractor, the Kirkhams have opted for more power and specification. Its fleet currently includes a 2007 model John Deere 6930 with 10,000 hours under its belt, a 9,000-hour 09-plate Case-IH CVX 195, a 59-plate Case-IH Puma 210 with 6,000 hours on its clock and the most recent addition, a 63-plate Fendt 722. The youngest in the fleet, the Fendt has covered little more than 3,000 hours, and has also arrived with auto-steer capability. “We bought the Fendt at the start of the 2017 season to replace a CVX 1170 that had racked up 13,000 hours,” he says. “And that CVX1170 came to us with around 3,300 hours on its clock, and other than a front axle issue, it had been bomb-proof. He adds that getting the right spec is never easy on the used market, and accepts it is one of the compromises of buying second-hand. “Yes, the easy option is to walk into a dealer’s yard and tick your way through the options, but when you start looking at 200hp and upwards, the costs rise sharply,” he says. Chris cites the purchase of the JD6930 back in 2009 as a prime example. He says that they were wary of the tractor, having heard about various transmission failures. “Our JD6930 has an extra hydraulic oil tank on it, to prevent the transmission running short of oil when tipping trailers,” he says. “We have heard that they can easily run short, and that is when the damage occurs. “We have added a front-end loader, front linkage and front PTO to it. At the time, we did not have a telehandler, so a 631 loader fitted the bill for bale handling and loading trailers. And the front PTO allowed us to improve mowing efficiency and put a 3m mo-co up front to double our output. He says the tractor has been largely trouble-free, but like the CVX, a front axle issue developed, and the Kirkhams chose to modify the four-wheel drive engagement after repair, to prevent unwanted engagement of 4wd under braking. “When I used the tractor for baling in 2wd, it would repeatedly engage and disengage the brakes each time I wanted to stop and let a bale out. So we’ve isolated that function,” he says. For the last few years, the firm has sought out the right power and weight to suit the workload. And all four tractors are CVT-equipped, putting the firm in complete control of forward speed changes to get the best efficiency available. With round and square baling high on the agenda, getting forward speeds just right to match swath sizes, is crucial. 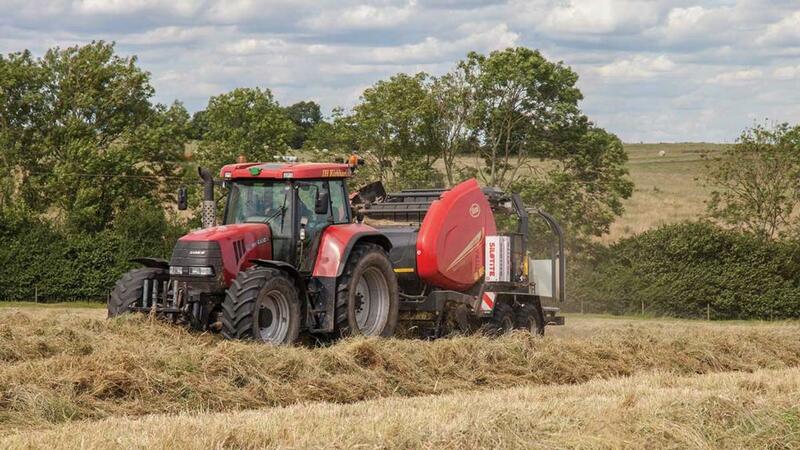 “The beauty of CVTs is that you do not have to reach for a clutch pedal each time you stop with the round baler,” says Matthew. The arrival of an MF2170 XD big square baler is what led to the arrival of the firm’s Puma 210 in 2012. 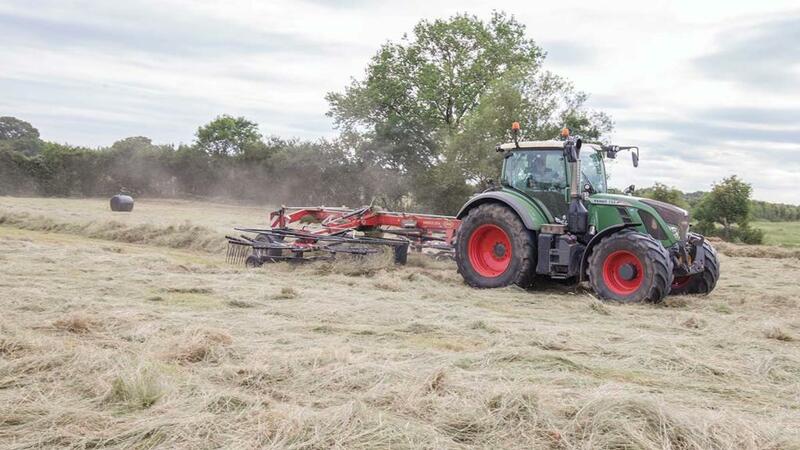 “The baler replaced a Claas Quadrant 2200 which could never pack in enough density, so we looked at increasing power for the baler,” says Chris. “And that is when the Puma arrived, and our first Fastrac – a 2140 with four-wheel steering – left. The Fastrac was comfortable, and nippy with trailers. It is the one we regret selling and one that I’d like to add back onto the fleet. Now with 6,000 hours on the clock, the Puma blotted its copy-book at the end of the Kirkham’s first year of ownership, when clutch packs and synchro rings needed replacing, but has been trouble-free ever since. “The Puma had only done 3,500 hours at the time, so we were a little surprised, and a bit disappointed,” Chris says. The Kirkhams admit to having more tractors than they need, but it gives the business flexibility, which is another benefit of going down the second-hand route. “There are three of us in the cabs at peak times, and a fourth tractor – the CVX 195 – is a bit of a luxury. It was bought three years ago as a stop-gap while we looked for another CVX 1170,” he says. “We have not found one yet. “It does take the pressure off the JD 6930 for mowing,” he says. “Though it only came with front linkage, so we had to install a front PTO kit. But at least we have two tractors that can handle our front/rear Vicon mower combination. 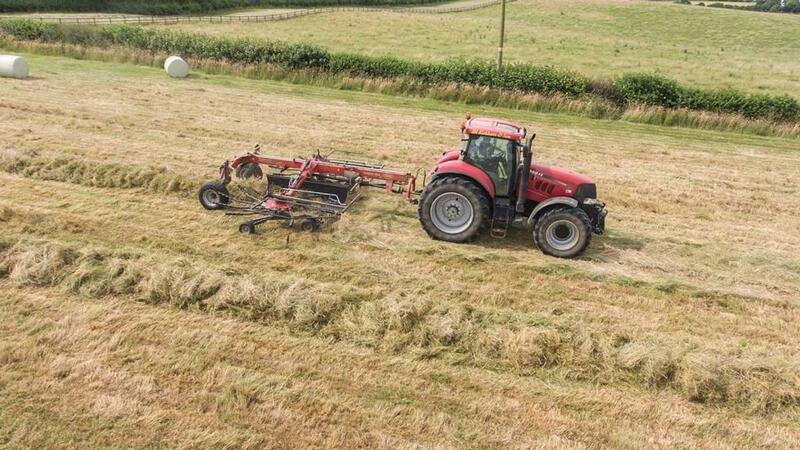 “When we’re busy with silage and haylage, we can leave the mowers on a tractor and we still have enough tractors to easily swap between raking and bale haulage,” he says.